A few months after I finished my stint as a test subject for Humachinix Integration, some UnGastro documents were leaked to the press and accusations were made by a former UnGastro employee and a former test subject. 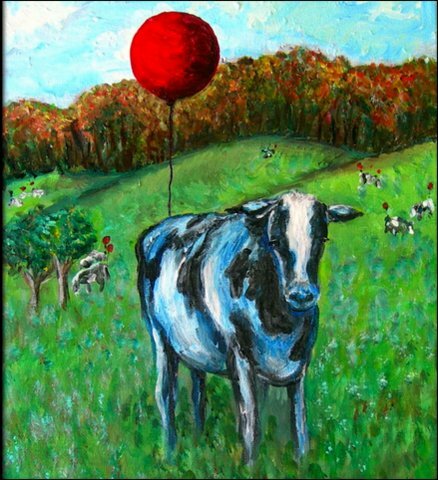 The allegations were that UnGastro along with the US Department of Health were testing modifications to the bovine methane collection units for use in the collection of methane and other gases from humans. UnGastro held a press conference to counter these claims. The Director of Research at UnGastro, Ralph Keenster, spoke to a crowd of about 100 people; about ten were journalists. I was in the crowd. “I have a prepared statement I would like to read. I will take questions afterwards. “This is a response to alleged leaked documents that have been passing through the various news outlets that allege we at UnGastro and our sister company Humachinix Integration are developing and testing modifications to our Bovine Methane Collection System (or BMCS) for use in the collection of methane from humans. Our response is that this is categorically false. “It is true that the research referenced in these leaked documents is being conducted on humans. It is being conducted with modified BMCS units. However, the goal of the research is strictly the collection and analysis of gases to determine the effects of diet on these gases and to determine if the characteristics of these gases pose any harm to human health or can be used as predictors of disease. The use of the BMCS units is strictly to make it easier to do perform the gas collection. “The results of these tests are being passed on to the US Department of Health where they hope to use the information to make recommendations to dietary changes that will improve overall health of Americans. “This is the extent of our proscribed role in this research. Any other allegations of mass use of the BMCS units on the populace are purely fictional. “Are you denying that the documents are real?” asked one journalist. “The documents in question are legitimate memos of Humachinix Integration. They have been, however, taken greatly out of context. You will notice that nowhere in the document does it state that the scope of the Coal Elimination Act is being expanded. Nowhere does it mention the Coal Elimination Act. The document mentions the use of a BMCS unit on a human subject, which I explained earlier, was strictly used as an expedient method to collect gases for the Department of Health research. Whether or not there was a connection between the two accusers, I could personally validate that the research very much seemed geared towards designing a unit for human usage. That in itself did not prove any conspiracy to use the units en masse on humans, of course. The twenty-four hour news cycle buried the story. The resources of the two accusers didn’t have the legs to keep it in the public eye. Too many layers between UnGastro and the source, whoever and whatever that was. This entry was posted in Methane Wars and tagged Coal, dystopia, environment, fiction, greenhouse gases, methane wars, near future, satire, slip stream, society. Bookmark the permalink.